BOCA RATON, Fla.–(BUSINESS WIRE)–MDG Advertising, a full-service Florida advertising agency with offices in Boca Raton and New York, today announced that it has been selected as agency of record for Carls Patio, a member of the nation’s premier patio furniture retail group. One of the agency’s first assignments is to create an identity system and brand platform for the recently launched Fifth & Shore line, a signature concept the retailer hopes will revolutionize the industry. MDG will be responsible for all creative services, media planning and buying, digital strategy, SEO, and social media for the company’s 12 Florida stores, as well as the California-based Berks Patio stores and the company’s e-commerce site, www.PatioFurniture.com, the leading new patio furniture website in the world. Carls Patio has served Florida since 1993 and currently has 19 stores in Florida and California. 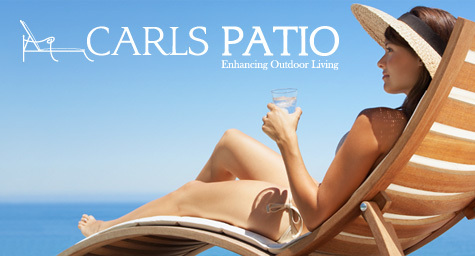 The Casual Furniture industry has rated Carls Patio as one of the top five outdoor furniture store chains for each of the last 15 years. Founded in 1999, MDG Advertising has established a leading reputation for developing targeted and integrated 360° marketing solutions. The agency’s fast growth directly results from its solid branding and media-buying strategies, award-winning creative, innovative Web design and development, as well as effective digital and social media marketing. The list of those benefiting from a competitive advantage developed by MDG includes: The Breakers Palm Beach, Dental Care Alliance, IBM Southeast Employees’ Federal Credit Union, HCA East Florida, The Seagate Hotel and Spa, TooJay’s Gourmet Deli, Boca Raton Museum of Art, Benetrends, South Florida Fair, World Fuel Services, MDVIP, Round Hill Hotel and Villas, Upfront Foods, Signature Consultants, and Max Planck Florida Institute. MDG Advertising, a full-service Florida advertising agency with offices in Boca Raton and New York, NY, specializes in developing targeted Internet marketing solutions, exceptional creative executions and solid branding and media buying strategies that give retail marketing clients a competitive advantage. Our core capabilities include print advertising, branding, logo design, creative, digital marketing, media planning and buying, TV and radio advertising, customer relationship management, loyalty programs, Web design and development, email marketing, social media marketing and SEO. View MDG Advertising’s creative marketing portfolio. To learn more about the latest trends in retail marketing, contact MDG Advertising today at 561-338-7797 or visit mdgadvertising.com.